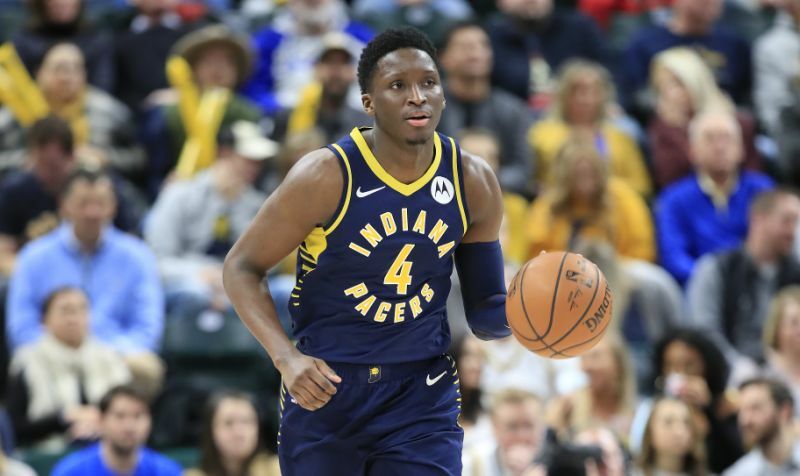 This week, Indiana Pacers’ shooting guard Victor Oladipo suffered a gruesome knee injury that saw him leaving the court on a stretcher. An MRI was conducted the following day, and what was thought to possibly be an ACL tear is actually a ruptured quadriceps tendon– the very same injury that ended NBA great Charles Barkley‘s career. Oddly enough, Oladipo has previously missed 11 games with soreness in that same knee. *Warning* If you haven’t seen this video please note that’s it’s pretty gruesome. This injury was horrifying to watch, and I can only imagine the pain Oladipo was in at the time. This particular injury is extremely concerning for Oladipo’s career, but on a larger scale the Pacers are now in a very difficult position. At 3rd place in the Eastern Conference standings behind the Milwaukee Bucks and Toronto Raptors, Indiana was working hard to become the next top dog in the East. Now, all those plans will likely come crashing down. You see, Oladipo isn’t just a valuable role player, he’s THE valuable player for the Pacers who have struggled to put together a team who can make a long term impact in the post season. At 18.8 points, 5.2 assists, and 5.6 rebounds at around 30 minutes per game, he’s not bringing in numbers like James Harden, but his leadership on the Pacers’ roster is irreplaceable. While he will likely be able to offer some support from the bench, there’s a lot lost in translation if he’s not able to actually be on the court directing the game flow as any All-Star does. In fact, just before Oladipo’s injury, the Pacers won 11 of their previous 14 games and held the 8th best offensive rating for the NBA in that period. Going forward, what will likely happen is that Indiana will drop back a few slots in the Eastern Conference Standings opening the door for the Philadelphia 76ers, and the Boston Celtics to make their move upward. Unfortunately, that will likely mean that the Pacers will lose out on home court advantage in the first round of the playoffs, but if they’re able to make a trade for a player who can help them maintain in Oladipo’s absence they may be able to stay afloat. Although this injury could pose a threat to Oladipo, he’s an entire decade younger than Barkley was at the time his career was ended so I’m positive Oladipo will be able to successfully recover. For now, the Pacers have to develop a game plan to stay alive for the remainder of the season and hope for a chance at making it past the first round. My deepest sympathies to Oladipo as he works to recover from this devastating situation. I hope to see him return to the court soon.